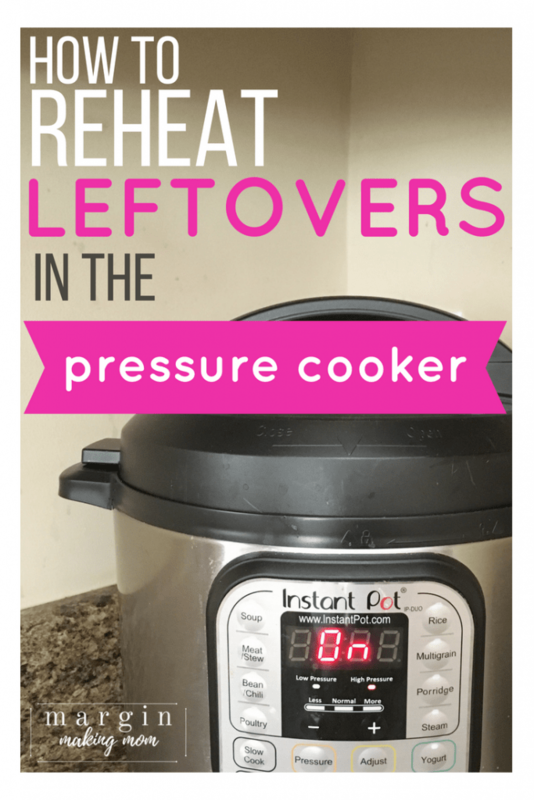 It’s so easy to reheat leftovers in the Instant Pot pressure cooker! This is a great way to warm food easily, especially without a microwave! Disclaimer: This post may contain affiliate links for your convenience. If you make a purchase, this site may receive a small commission at no additional cost to you, which helps offset the costs associated with running this site. You can read my full disclosure policy here. 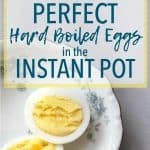 Since getting my Instant Pot, I’ve learned there are so many things it can do! I can use it for Instant Pot yogurt, I can make a bundt cake in my Instant Pot, and the list goes on. I was very pleasantly surprised to find out that I could also reheat food in my Instant Pot! I’ve written before about how our journey to get out of debt, which has obviously impacted the decisions we make about how we spend money. Recently, the microwave we received as a wedding gift nearly ten years ago gave out. It would not work at all. No big deal, I thought…we can just buy a new one. Ummm….have any of you priced microwaves lately? I was absolutely floored at the cost of a new microwave. Even used and refurbished microwaves were way more expensive than I expected. Because I really didn’t want to shell out the money for an appliance I only occasionally used, I decided not to replace it. After all, I figured anything you can do in a microwave can be done on a stove, in an oven, or in the toaster oven. Really, I surprised myself by not missing the microwave at all. It did take a little bit of getting used to, though. They say necessity is the mother of invention, and that was true in my case as well. I learned how to make my oatmeal in the Instant Pot, began steaming food on the stove top for homemade baby food, and started boiling water on the stove top for my morning tea. That took care of the things I had most commonly used the microwave for. The one thing that was a little inconvenient though was reheating leftovers. 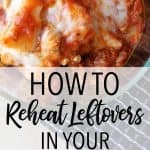 Without the microwave, I would typically remove the leftovers from the refrigerator, take them out of their storage container and put them in a pan or pot on the stove to reheat. This worked fine, but it obviously took longer and dirtied another dish. Seeing as how we also don’t have a dishwasher (our home was built in the 1940s and there just isn’t space for one), I try to dirty as few dishes as possible. Can You Reheat Food in the Instant Pot Pressure Cooker? As I’ve been learning just how versatile my Instant Pot pressure cooker is, I decided to do some research to figure out if I could use it to easily reheat food. And I found out that YES, you CAN reheat food in the Instant Pot! 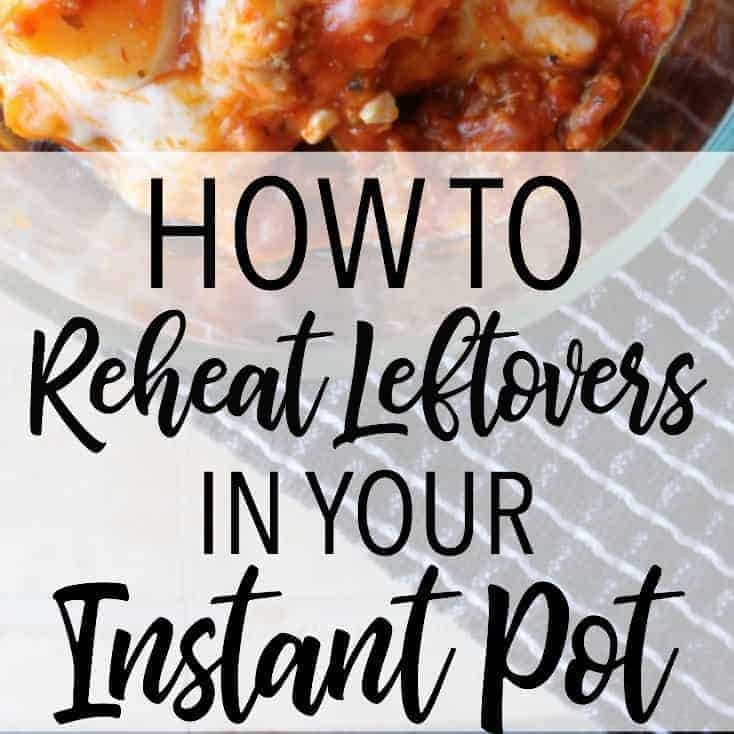 Not only does the Instant Pot help me make easy pressure cooker recipes, but it also reheats my leftovers! In my case, this was a huge discovery in terms of kitchen convenience. I know there are other people who avoid using microwaves due to health concerns. The Instant Pot is a viable option for reheating food for anybody who doesn’t have access to or desires not to use a microwave! There are a few different options for reheating food, depending on your needs. If you want to warm something slowly over a longer period of time, you can simply use the Slow Cook function or the Keep Warm function. But if you want to reheat food faster, the Steam function is the one! First of all, you have to use some water. This may seem like a no-brainer, but you need water to make steam. So add at least a cup of water to the bottom of the insert pot of your Instant Pot. Next, put your trivet in place in the insert pot. Depending on what kind of container you use for reheating, you may need to use a foil sling. If the container will not be easy to remove with potholders or tongs, definitely use a foil sling, as that will make it easier to lift the container out of the insert pot. Which brings me to the next point…. Using containers in the Instant Pot is known as the “pot in pot” method. It’s important to make sure you’re using heatproof containers. 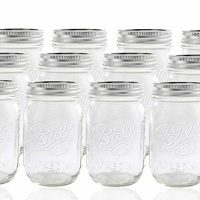 Some of my favorites are ones I already had on-hand and include pint-size Mason jars and Pyrex storage bowls. 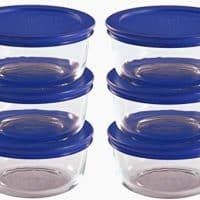 When you have leftovers, simply go ahead and put them in these types of containers to store them in the refrigerator. Then they’ll be ready to reheat whenever you want them. No extra dirty dishes (Happy Dance!)! Add a bit of water or fat, if needed. Depending on what type of food you are reheating, you may need to add a bit of water or fat to the food. This is especially true if it’s something that is prone to become sticky, such as pasta or rice. 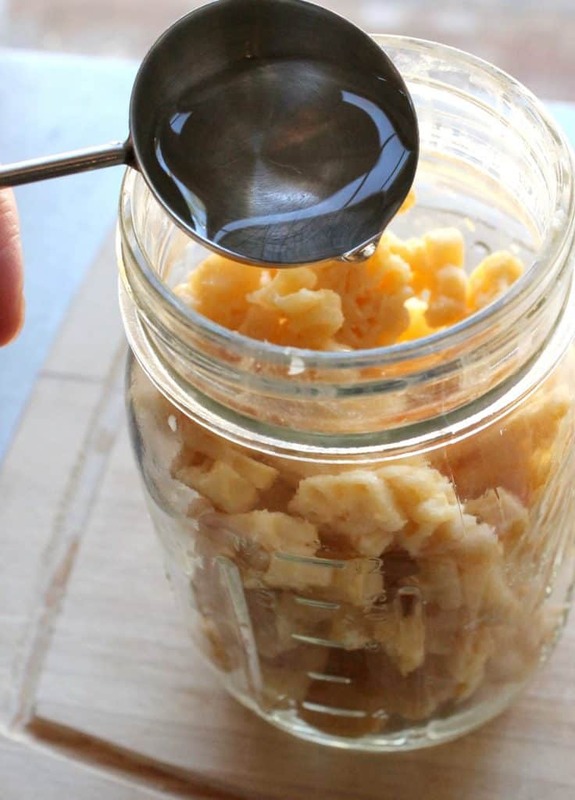 Depending on the amount of food being reheated, I add 1/2 – 1 Tablespoon of water to the contents of the jar or bowl. 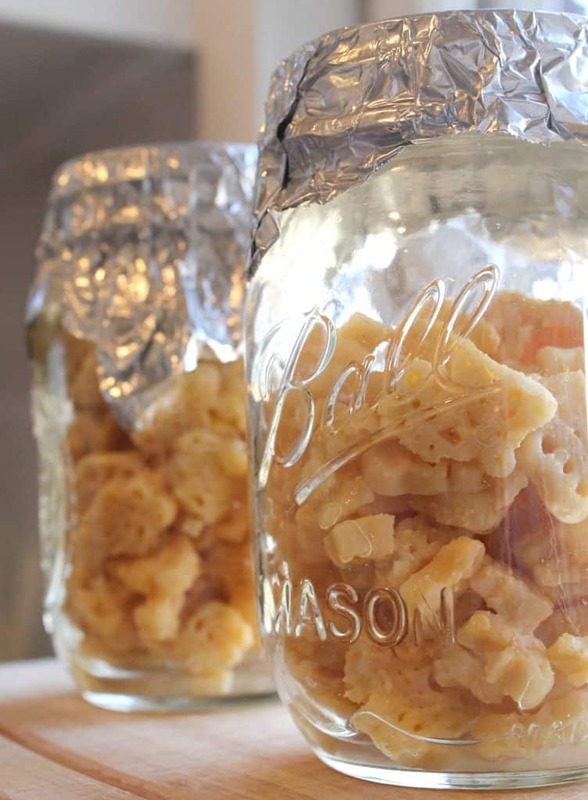 Something like macaroni and cheese may also benefit from a small drizzle of olive oil to keep it from sticking. Food that already has a good bit of liquid in it, such as a soup, will likely not need water or oil added. Next, cover your container with a piece of foil. This helps to ensure that condensation from the steam doesn’t drip into your food. 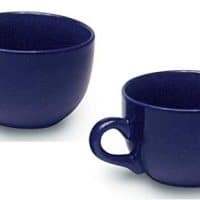 Depending on the size of your containers, you may be able to stack more than one in the insert pot. Place the container into the insert pot on the trivet. Close the lid to the Instant Pot, and set the vent to “sealed.” Using the Steam function, select your time. I generally use 5 minutes for most things. However, remember that this is not an exact science. If you are reheating something pretty delicate, like pasta or vegetables, you can probably use a shorter steam time of 2-3 minutes. Likewise, if you are stacking a few containers full of pretty cold food, you may need a longer time, such as 8-10 minutes. After the steam time is complete, allow a natural pressure release. Once the valve has dropped, you can open the vent and lid to test your food’s temperature. If needed, you can steam for 1-2 more minutes. Just look at this warm, melted goodness! There’s no way this food would have been as evenly heated in a microwave. Reheating leftovers in the Instant Pot is such an easy way to warm food without using a microwave. Who knew there could be so many uses for an electric pressure cooker? I continue to find more and more reasons to love this versatile appliance! Use some water. 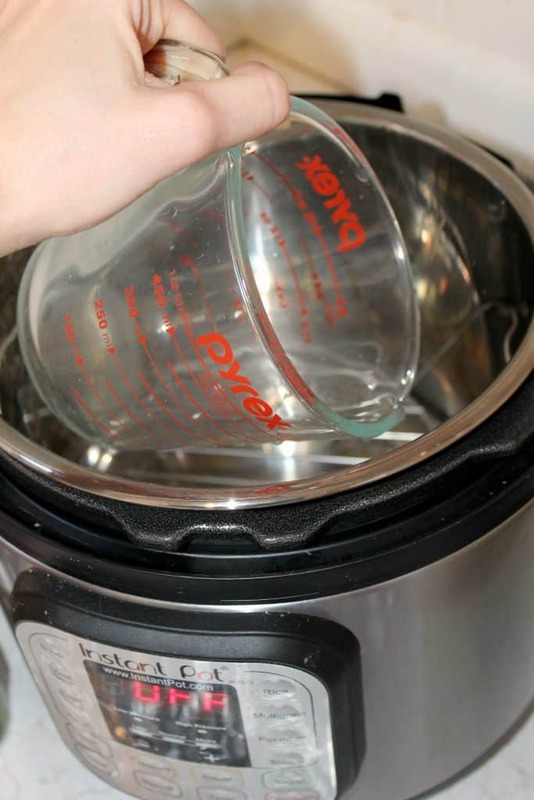 You'll be using the Steam function of the Instant Pot, so you'll need water to create steam! I use 1 cup of water. 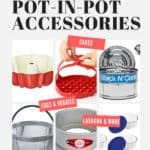 Put your trivet into the insert pot of the Instant Pot. Use heatproof containers. 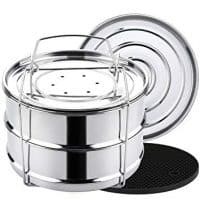 This allows us to use the "pot in pot" method of reheating food, where the food is in a container that goes into the insert pot. Add a bit of water or fat, if needed. Some foods, particularly those that are prone to becoming sticky (such as pasta or rice), may need some extra water or fat added. I generally add 1/2-1 Tbsp of water to these foods, and maybe a drizzle of olive oil if needed. 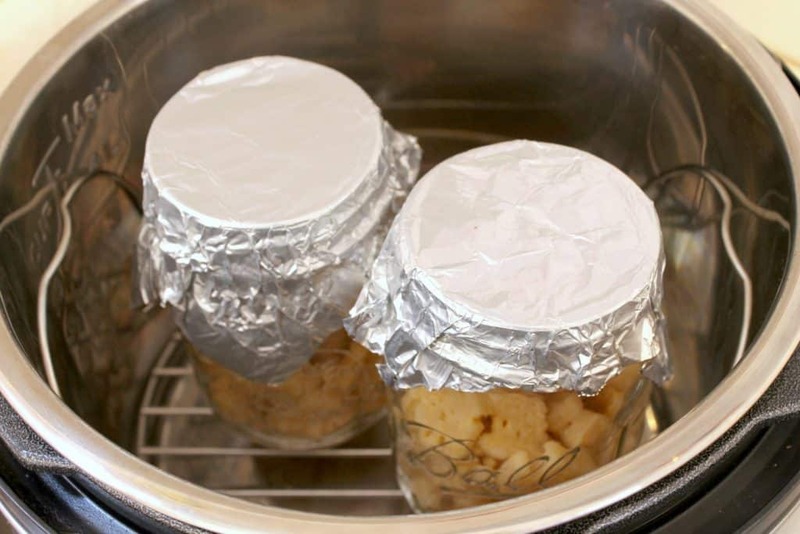 Cover the containers with foil. This helps prevent condensation from dripping into the food. It also allows for stacking of containers, depending on their size. Set the steam time. Use the Steam function and select a time, depending on the type of food. Most often, I use 5 minutes. However, some more delicate foods (such as vegetables) may be able to steam for just 2-3 minutes. If your food is very cold or if you're reheating multiple containers, you may need to steam for 8-10 minutes. Afterward, allow a natural release and then check the temperature of your food. If necessary, steam for 1-2 minutes more. 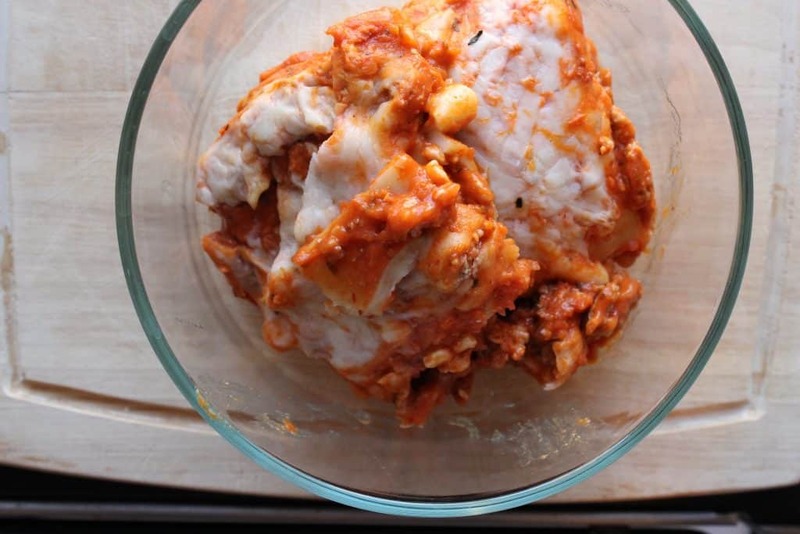 Have you used your Instant Pot to reheat food before? What’s your favorite use of your pressure cooker? Leave a comment below! Check out more of my easy pressure cooker recipes! Learn how to make your favorite slow cooker recipes in the pressure cooker! 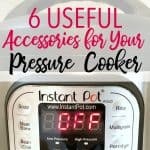 New to pressure cooking? 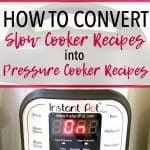 Find out everything you need to know about making easy pressure cooker recipes! When you factor in the time to pressurize and the time to do a natural pressure release…. easily a total of 20 plus minutes…. My microwave’s permanent position on the counter is safe…. Even the stove top has proven faster overall for soups. 10 minutes total on the stove vs 14 minutes to get to pressure, 5 minute setting (as per above), plus another 11 minutes for natual pressure release. I agree that reheating leftovers in an IP works great! Texture, flavor and though heating are great pluses on the IP side. For me, the issue isn’t time, it’s quality and convenience. For quality, there can be no doubt that the pressure cooker gives me even results and doesn’t dry out the food. For convenience, it’s being able to put it in the pot, set the time, and not worry about when I have to take it out, I can prepare other things and just leave it in. There’s also the ability to have multiple containers reheat at the same time. Those are great points, Tracy! Although I’ve noticed that several people have made macaroni and cheese in the instant pot, it says specifically in the manual (pg3) that noodles, macaroni, and spaghetti (among other foods) should not be cooked in the pot due to the frothy foam that can block the pressure release valves. Wondering if you were aware of this and if you have made many noodle type dishes ? I think a lot of the success and safety of this depends on a few factors: 1.) When cooking pasta (or any ingredient prone to froth or foam), it’s important to never fill the pot more than 1/2 full, to allow extra room for this expansion and to keep the foam from getting too close to the valve. 2.) Don’t cook really small pasta (like orzetto), since those types could clog the valve. 3.) There seems to be a consensus among the pressure cooking community that noodles cooked in the sauce (as opposed to being cooked in water) tend to froth less. All of the recipes I have personally tried involve cooking the noodles in more of a saucy liquid. All that to say, I think the manual has that in there because cooking those items certainly could pose a problem if not done carefully. The alternative option that would work in many cases would be to cook the sauce first, then add the pasta and use the saute function to cook the pasta in the sauce. I hope that helps!! Yes – very helpful! Thank you for the thorough and thoughtful reply. If the time to pressure is troublesome you can adopt a practice I do. Almost everything cooked or reheated needs some prep time. The vast majority of my cooking and reheating is done using the “pot in pot” method so the only function of the main steel pot is to hold the water and the trivet. Anyway, I always hit sautee to begin heating the water while I make preparations. Once things are ready I hit cancel / off, load my bowl, put on the lid and select manual or steam with the desired time. It usually comes to pressure quickly now since the water is already hot! My Instant Pot has never done anything instantly….but it does do magic………….hmmmmm shoulda named it Magic Pot. Justme-that’s a great idea. I’ll be doing it your way from now on. Thank you. And in our house we do call it the Magic Pot. Learning curve! I tried reheating refrig cold cooked lamb and frozen cooked rice and peas together. Rice and peas on the bottom and 1/2 inch slices of lamb placed on top of the rice. Used 1 tbs water and olive oil as suggested to the inside pot. Covered and placed the pot on the rack with 1 cup added water to the outside pot. I steamed it for 6 minutes released the pressure. To make a long story longer, the rice and peas were warm but the lamb slices not so warm. Is there a steaming (reheating) reference list of foods or will I have to bit the bullet and guess each time I want to reheat something? Hi Carol! I’d recommend placing the item that will take the longest to reheat on the bottom of the dish, so in this case, put the lamb on the bottom and stack the rice and peas on top. This puts the lamb closer to the heating element. Unfortunately, I don’t know of any reference lists for the times (but if you do find one, please share it with us!). A lot of it depends on how cold the food is to begin with, how much food is in the dish you’re reheating, etc., so there’s a bit of guesswork involved. AL, it’s not just about a quickie. When you nuke your food, you nuke your food. Your food has been nuked. It’s not food anymore. Know that. Think about it. Thanks for this. I agree! I hate the way microwave warming affects texture of man6 foods. I tried warming a couple servings of salmon and rice in the Instant Pot yesterday and it was as delicious as when I first cooked it. That’s wonderful! I agree, the Instant Pot preserves more of the natural texture when reheating! Perfect! I wanted a new way to reheat bbq pork ribs that didn’t leave them dry (oven) or rubbery (microwave). I wrapped the stack of 6, 2-rib segments in aluminum foil and pressure cooked 10 minutes, followed by 13 minute pressure relief. They came out hot and tasting like they were right off the grill. Hi Carolinne! I’m so glad to hear that this method worked well for you! Hearing about your BBQ ribs is making me hungry. 🙂 Enjoy! It was getting late this evening and my son wanted Mac and cheese. I had some farfalle in the freezer (previously cooked in the ip) so I googled how to reheat in the ip. Came across this post (again) and steamed the 1/2 lb of frozen farfalle for 5 minutes and they came out just like when they were first cooked! Whipped up a roux and cheese sauce and, voila, mac and cheese for my baby! Thank you for the tip! Thanks for the tip. At some point, you may want to consider adding a glass flat top to similar containers instead of the foil and steam combo- heavy metal toxicity, kids, etc.. Thanks, again. I used the guidance provided in this article to reheat some bacon & tomato Mac n cheese. It took 5 min to come to pressure, steamed it for two min, and then did npr for 15. It was amazingly perfect! I have never had it reheated so perfectly and deliciously as it was today. The timing worked out great because it gave the kids time to clean up and get ready for their next outing When they were ready, so was their lunch. My daughter even commented to me on how delicious it tasted – as though I had just freshly made it! I then used it to reheat a bowl of chili. I did it for 2 min which was WAY too long. Zero-1 min would have been more than sufficient like your article guidance. I did manual pressure release this time. Reheating food is mostly what I do with my Instant Pot. I just ADORE not having to stand at the stove stirring and make sure it doesn’t stick to the bottom. I ADORE not having a microwave. Toaster oven, stove oven, and IP is all anyone needs! Mine died soon after getting IP and it’s been over a year without a microwave now and there is no reason ever to buy one again. Even coffee that’s cooled in the french press. It’s way too easy to throw it into a little saucepan and heat it on the stove. I use steam exclusively and use steel containers to cook and eat from. It’s just me here, so i can get away with this and it’s great. I will often add fresh chopped garlic and onions to whatever I’m heating up. I’ll also add a piece of frozen salmon (Costco wild-caught Alaskan salmon that now comes from Russia hmmmmm!) and it cooks great. I sometimes let it sit on “keep warm” for a long time, like 2 hours, if I’m busy. That’s fine, too! It’s hot whenever I’m ready to eat. Hi Marge! Thanks so much for sharing how you use your IP to reheat food–You’re right, a microwave really isn’t necessary! I love your idea to include some garlic or onion, and also a piece of salmon. Yum! 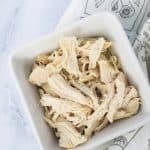 Hello, found your post when I needed to reheat this, recipe https://thegirlonbloor.com/instant-pot-teriyaki-chicken-bowls/ I originally had made 8 servings, and had some leftover. I like not having to constantly babysit the warming up process like I would have if I had used the stovetop method. Thank you! eh, you can buy a microwave for around 60 euros in place slike tescos, so long as you dont want fancy things like a convection or grill componant, and we got one of those fancy ones which will roast and microwave at the same time for crispy roasts, for 80 euros. so i dont know where you live but microwaves are significantly cheaper than an instant pot. and i live on an island where a lot of things ar emore expensive or just not available. at one point the instant pot was out of stock and they were selling it for 799 dollar son amazon. so maybe theres a drought on microwaves where you live but you should be able to get one for well under 100 euros. seriously. Hi Eli! 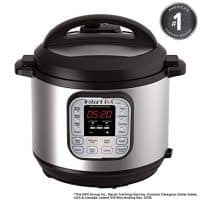 Yikes, 799 for an Instant Pot? No drought on microwaves, but where I live (in the US), the average cost for a pretty standard microwave is about $65-85, which is about the cost of an Instant Pot here as well. It’s not that the cost is unrealistically high, but rather I just personally couldn’t justify spending the money on something I don’t use on a regular basis. If it was an appliance I used all the time, I might have chosen to go ahead and purchase one. Last year, I moved into a home that had a microwave already installed, so while I now have one again, I really don’t find myself using it very often. It’s like many kitchen tools and appliances–some families use different tools more than others! Ah ha so microwaves are similar price but instant pots are cheaper! Even when the instant pot finally restocked in Europe it is still 135 euro I got mine for 114 on sale. I reheated some Chinese last night but it didn’t come out well. I really was being a bit crazy when I bough the instant pot but it can do a lot. My favourite thing todo is a leg or shoulder of lamb! 35 minutes and you would swear it had been gently simmering in a sous vide for hours. Fall off the bone yummy. I still haven’t mastered vegetables which get horrendously overdone so I have given up on using it for that. And reheating I just can’t open it to check when it’s ready or overdone. But I do use the yoghurt function to make soy milk NAtto yoghurt. NAtto is really good for vitimin k3 but I do not like the texture so I put some beans in with boiled cooled soy milk and it becomes a kind of sweet slightly burnt flavoured pudding. A bit like a Verne caramel with an odd flavour. Still marginally nicer to eat than beans in snot, which is what NAtto reminds me of. Microwaves only ever seem to end up being reheaters so if you have masters the instant pot You don’t need one. I can’t think of anything a microwave can do that the instant pot can’t. Except popcorn! Lol! I haven’t tried making lamb in the Instant Pot, but that sounds delicious! I use mine for making yogurt as well. I’ve never heard of NAtto before–you’ve given me something to look into! 🙂 As for the popcorn, I received a Whirley-Pop stovetop popcorn maker as a Christmas gift several years ago, and I haven’t made microwave popcorn since, lol! You’re welcome, Jenni! I hope it works out wonderfully for you! Thank you Christi, I’ll let you know. I own two insta pots, an ultra 8 qt.& 6 qt. Dual. I have noticed that the sound is so weak you can hardly hear it, is there a remedy for this problem? Hi Marc! Are you referring to the sound the machine makes when it beeps? 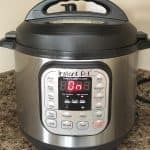 I know you can turn the sound on and off (see this article: https://pressureluckcooking.com/how-to-turn-the-sound-off-on-your-instant-pot/), but to my knowledge, you can’t adjust the volume up or down. Or if you’re referring to the sound of the pressure cooking, that sound is usually very quiet or none at all (unlike noisy stovetop models where the top jiggles). Does that help? I made a big pot of soup yesterday and we only used two servings. I want to reheat it today. What setting would I use? I have not had a microwave in more than 25 years now. In this last year, I moved into a studio apartment and I never use the electric stove at all. I use a toaster to bake things and use an induction cooktop for other cooking. But my Instant Pot I use a lot. I even fry bacon and eggs in it on saute. I reheat leftovers in it that have been cooked in it previously and just stored right in the insert pot in the refrigerator. Then I reheat it in the IP. It has made my life so easy! I am still learning about all the functions it can do and just bought a bunch of accessories to go with it. Thanks a lot for your post! Hi Kathleen! 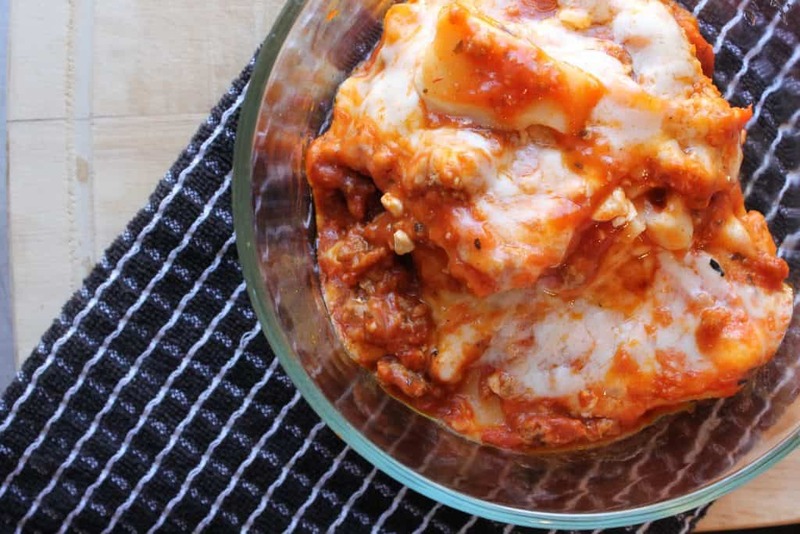 Isn’t it amazing what all you can do with the Instant Pot? And you’re right, with the right appliances, a microwave isn’t necessary at all. Thanks for sharing! Has anyone found anything to cover reheating containers besides aluminum foil? I don’t want to use it or support the manufacture of it. Thanks for all your info, really helped me when I first started.